Whenever I hear the name Hashimoto’s Thyroiditis I always get a mental image of some crazed samurai randomly attacking my thyroid gland. In reality that image is not too far off from what is actually happening. Essentially Hashimoto’s is an auto-immune disease in which your auto immune system randomly decides that it doesn’t like the thyroid anymore and then attacks it every so often. This causes the thyroid to go crazy. During an attack your thyroid is likely to go into overdrive occasionally causing Hyperthyroidism. Hyperthyroidism happens when there is too much thyroid hormones (T3 and T4) being released meaning that your Thyroid Stimulating Hormone (TSH) levels are too low. 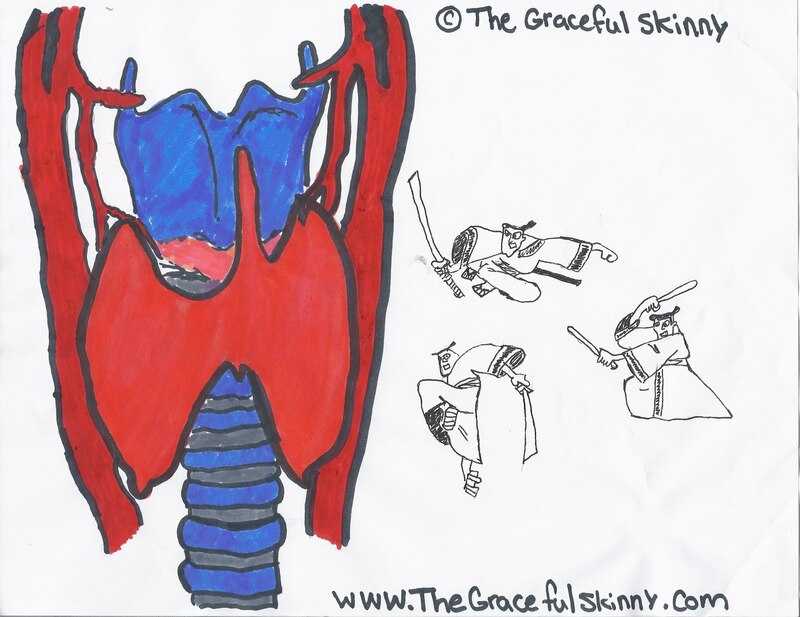 After an attack your thyroid shuts down and doesn’t work as well. This causes Hypothyroidism. Your thyroid becomes hypo when the thyroid is under producing the thyroid hormones (T3 and T4). This causes your body to over produce the TSH in order to try to get more T3 and T4. This is why when the vampires (lab technicians) draw blood to test your levels they look at the TSH levels. When your TSH levels are high that means that your thyroid levels are too low. Over all it is easy to manage with proper medication and regular monitoring. It might take a while for the doctors to find the right level of medication for you but once they do Hashimoto’s becomes more manageable. It is not uncommon for Hashimoto’s to cause Nodules to form every now and then. I have been told that they are mostly harmless and just a part of the disease but you never know. Stress and weight can be contributing factors. Hashimoto’s Thyroiditis while not commonly known about is actually the most common form of Thyroid disease. It is estimated that it affects about 14 MILLION Americans and that it is seven times more likely to affect women then it is to affect men. Hashimoto’s Thyroiditis can sound scary and overwhelming when you are first diagnosed but once you become familiar with what you are dealing with it becomes very manageable. It dawned on me lately that I have been so busy focusing on getting the weight off and just dealing with my medical issues that while I have a basic understanding of the issues in my life I have yet to take a deeper look into a lot of them. It is so easy when dealing with medical issues to get caught up in your own struggle that you forget that there are so many others who are dealing with them too. That being said, I have decided to take the next few weeks and take a deeper look into my different Conditions and Diseases that I have been left to deal with. It is looking at being a 3-4 part series. In my initial research for this post I started my search looking for lists of celebrities that have been confirmed to have the various medical issues. I found many blogs full of bitter women discussing rumors of celebrities. I quickly became very grateful to God for protecting my heart from that negative view point. Seeing those women belittling and bemoaning the world around them because of their condition makes me grateful that I am filled with the ability to look at everything with a positive perspective. After looking a little deeper into the subject I stumbled across some good websites with some wonderful information. This post is for the many readers who follow along not just for the weight loss journey but also find themselves Sisters (or Brothers) in arms in the battle with one or more of my medical conditions. So what is PCOS? 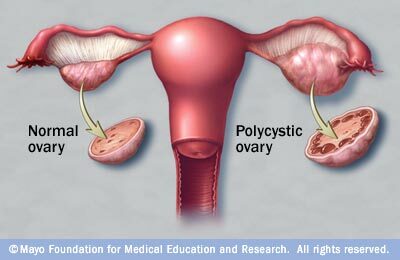 PCOS (Polycystic Ovarian Syndrome) is found most commonly in women with some sort of hormonal imbalance. The unbalance of the hormones causes the development of follicles in your ovaries to cease the development process mid way through. The would be egg then dissolves leaving small little pockets in your ovaries called cysts. This then causes your periods to become irregular or non-existent. The problem in my understanding is that these cysts aren’t just empty pockets. With each cyst comes an extra dose of hormones that further throws your body out of whack. According to my gynecologist in a recent appointment, women with PCOS have two healthy states for the body to be in, option A: on birth control, option B: pregnant. The in-between of no birth control and not pregnant is bad because it increases the chance for more cysts to develop on the ovaries. The more cysts the harder it is to deal with the syndrome. In most cases the common first step for a woman suspected to have PCOS is to have her loose 5- 10% of her body weight. This is because studies have found that fat cells are carriers for extra amounts of hormones such as estrogen. The fat cells release these extra bits of hormones causing a vicious cycle of making the problem worse. However all those extra and unbalanced hormones wreak havoc on a woman’s ability to lose that weight. It is almost a catch 22 and is very discouraging for a lot of women. So what are some of the issues that are commonly found with PCOS? In poking around for this section of this article the fact that I came across that was most surprising to me was that even though PCOS is not something that is very well known or talked about it actually affects 1 in every 10 women. I think that what keeps women from opening up about it is the infertility, especially for the single ladies out there. The word infertility brings with it lots of big bad and downright scary connotations with it. I remember sitting at the computer when I was first looking into PCOS and was trying to figure out what it was and why I was being recommended diabetic medication to treat it. The terror that set in my gut at seeing that one little word was significant. It was only with my husband by my side that I was able to face that fear and put it past me. If I had been diagnosed while I was still single I am not sure what I would have done. The day I was sitting in my Gynecologists office and he confirmed that I indeed have PCOS my heart sank into the deepest pit of my stomach convinced that meant that I could never get pregnant. 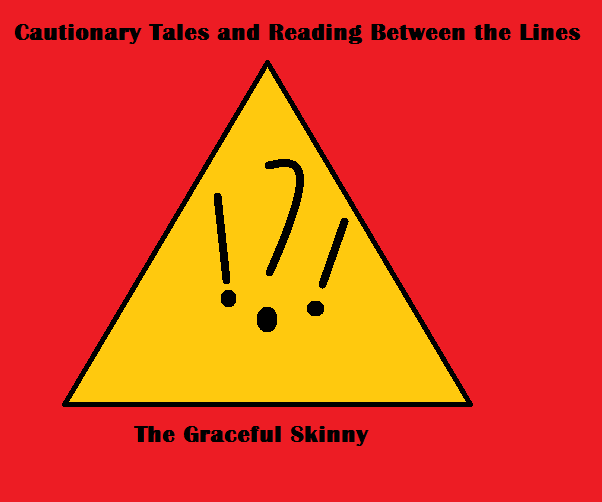 There were a few moments there where I was swimming in guilt and shame convinced that because I had allowed my weight to get out of hand that I had created my own down fall. It was then that my doctor reassured me of two very important things; number 1: my issue with my weight was NOT the cause of the PCOS just an effect, number 2: of the different ways women become infertile this by far is the easiest to undo. Why it is important to not ignore this or attempt to face it alone? The journey and battle with PCOS is a hard one. I doubt that even the strongest woman could face this issue alone without breaking down. The path to getting everything balanced is rough and challenging. Everyone is different and every case reacts to treatments differently. Because of this there is always a bit of a guessing game in the process to find the right meds at the right levels to balance out your case. And because our bodies are forever changing that small window of happy balance will change from time to time as well. Having that support around you while you go through these ups and downs makes all the difference. As far as why it is best not to ignore this goes, there is the obvious that the longer you go without balancing this out the worse the long term effects can get. However there is an even bigger reason to face this and get treated and monitored that is the insulin resistance that very commonly tags along for the ride with PCOS. If left untreated that insulin resistance could develop into Pre diabetes or Type II diabetes. For a condition in women that is so common there are so few who actually openly talk about it. Don’t let yourself feel ashamed about it. You never know who you might be helping by opening up. And if I can help just one person to feel that they are not going through this alone all the better. Who are a few well known people who suffer PCOS? After taking some time to really look into PCOS I find that while being diagnosed with it can seem very scary and daunting, it is not something to be ashamed about nor is it something to hide in the closet. Too many of our Sisters in Arms don’t speak out about it making it this big dark black hole to many as they are diagnosed. For something that occurs so commonly in women, knowledge of this syndrome should be more common place. If you are one of my readers who happens to be a sister in arms with this syndrome know you are not alone! I am here to stand beside you and we can get through this! If you are just learning about PCOS and are in the process of figuring out whether or not you have it know this, It is not the end of the world. With proper treatment and monitoring from the doctors PCOS is very manageable and you can go on to lead healthy normal lives. And yes, my doctor assures me, it is very possible to get pregnant with this condition. It just means you have to jump a few more hoops to get pregnant then other women. But in the end, it just makes those babies that much more special to us. Are there hard times ahead? Yes, but aren’t there always hard times ahead. The best thing you can do is to is to trust in God and remember that he is always in control and that PCOS is VERY treatable. For those out there that wish to reach out to me with questions about PCOS and feel uncomfortable about posting in the comments thread, feel free to contact me at PCOS@thegracefulskinny.com . In honor of FINALLY hitting the 30 pound down mark I thought I would take a chance to celebrate with what has become one of my favorite things about this blog. That’s right folks! It’s another round of what does the weight look like! So what is thirty pounds? 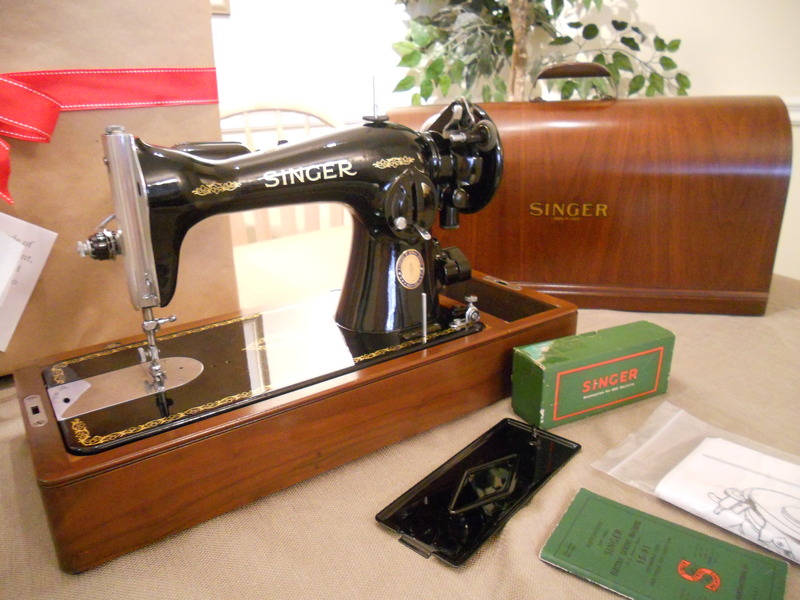 My new Sewing Machine! This baby rings in at whooping 33 pounds. It’s heavy enough that my family has made it a rule that I am not allowed to carry it on the stairs. The first time I tried to pick it up it took me 3 times because it wouldn’t even move the first few. Just think and I have been carrying that around! Crazy! 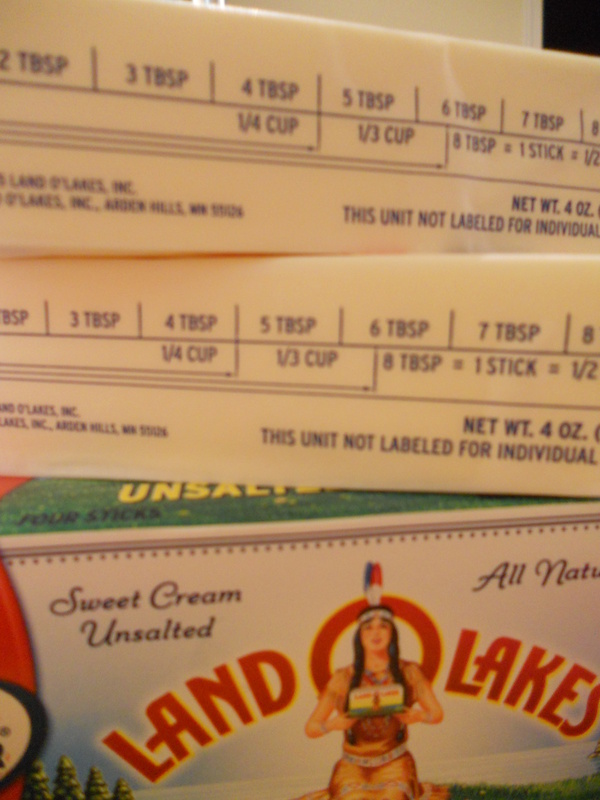 If we talk in terms of Butter we are looking at 120.5 sticks of butter! That’s more butter then even Paula Dean could cook with! Can you imagine walking around carrying 120.5 sticks of butter? I sure can’t! Yet, that is what I’ve been doing! I can’t believe it! 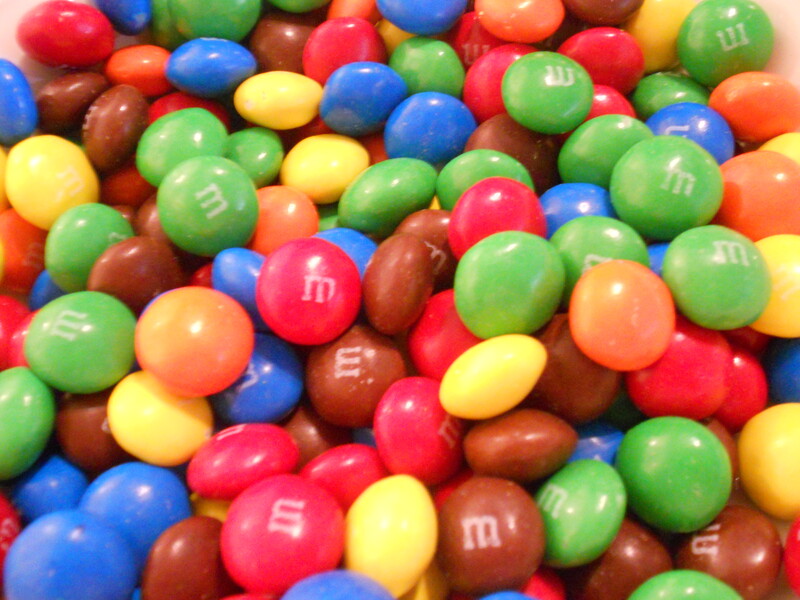 If we calculated out into M&M’s that would be 150,000 M&Ms! Holy cow that’s a lot of chocolate! So now it’s your turn dear readers! What objects can you come up with that are 30 pounds? 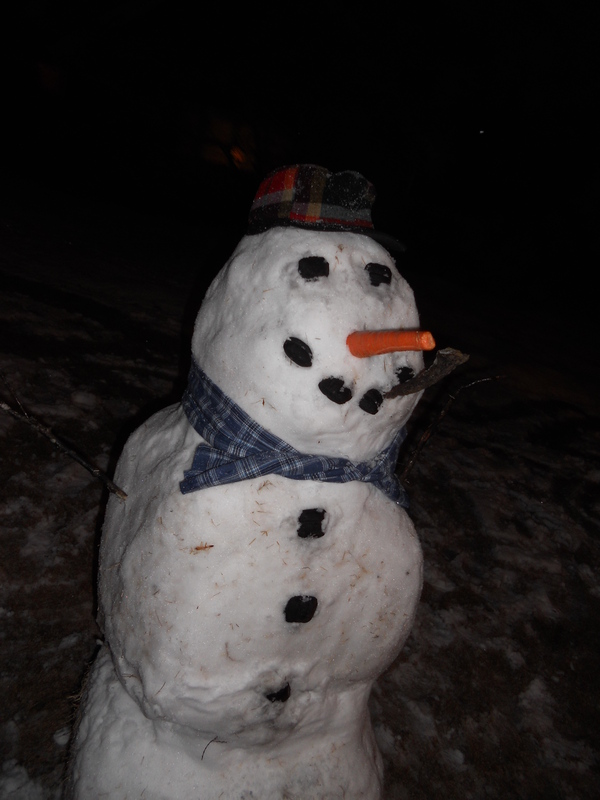 So here on my blog I have no problems sharing my view point and all that I have learned. This is especially true when it comes to High Fructose Corn Syrup (HFCS). But recently I was watching some tv with one of the kids that I nanny and yet another of those stupid “Corn Sugar” adds came on. Well, this ad and my skeptical annoyance at it raised the curiosity of the teen and she decided to poke around and investigate further. In her poking she found the following website that can be found HERE . At first glance my alarm bells started going off. It is very apparent that this is a commercially produced blog like sight. Yet when we looked for a name to see who runs the site we found that it is run by some official looking agency called The Center for Consumer Freedom. Their website can be found HERE . They raise interesting claims that all of the hype about HFCS is false. And on the Sweet Scam site under the Myths and Facts Section there are a lot of very broad statements about what is myth and very specific word bending with the counter point facts. Still the sites do bring up the question, who in the end is right and how much of what they say is indeed true? The big key for me is both sites repeated statements of any sweetener is fine moderation. But the big issue here is, HFCS has found its way into every food imaginable. It’s in so much that if you don’t do your very best to avoid it you quickly become inundated with this said harmless “Corn Sugar”. To avoid this junk all together you either have to spend a fortune buying expensive high end organics or you starve. And for someone on my kind of budget high end anything really just isn’t an option for daily life. You have to fight for moderation. So dear readers, what are your thoughts on sites like these? In your opinion who is indeed the real “sweet scam”? I for one will take the words of caution from my many doctors and my nutritionist as well as the many articles I have found myself, including an article done by Princeton. (If you missed that Blog post, you can find it HERE . The more I look into these new sites the more I see the falsity in them. One of the first things that I learned when I started on this weight loss journey was to be weary of anything with High Fructose Corn Syrup (a.k.a. Corn Sugar). There are more and more studies that are finding strong addictive tendencies in this evil substance. It is definitely an article worth your read. In the study, they found that the rats who were given High Fructose Corn Syrup laced water gained significantly more weight than the rats who were given table sugar. Not only that but they also found that the rats who had the High Fructose Corn Syrup ended up not just gaining more weight than the table sugar group but that the animals in the High fructose corn Syrup group ended up gaining 48 percent more weight! When I stumbled across this information I started to try to do my best to avoid it, only to come to the realization that it is found in almost everything we eat. It’s not practical to think that you can avoid ever eating it again. And the saying is always true, Everything in Moderation. The problem however, is getting that into moderate amounts of your diet. So next time you decide to go pick up that soda can or candy bar think twice! Rid yourself of the constant craving for it and you will quickly find that things that are loaded with it are overly sweet. After only a month I got to the point were most sodas and soft drinks are just revolting to me. Just try to go a while without the processed foods and then taste them again. They just aren’t as tasty as we thought. But there will be days when you will miss that soda. And for those days, my husband and I have found a great compromise. 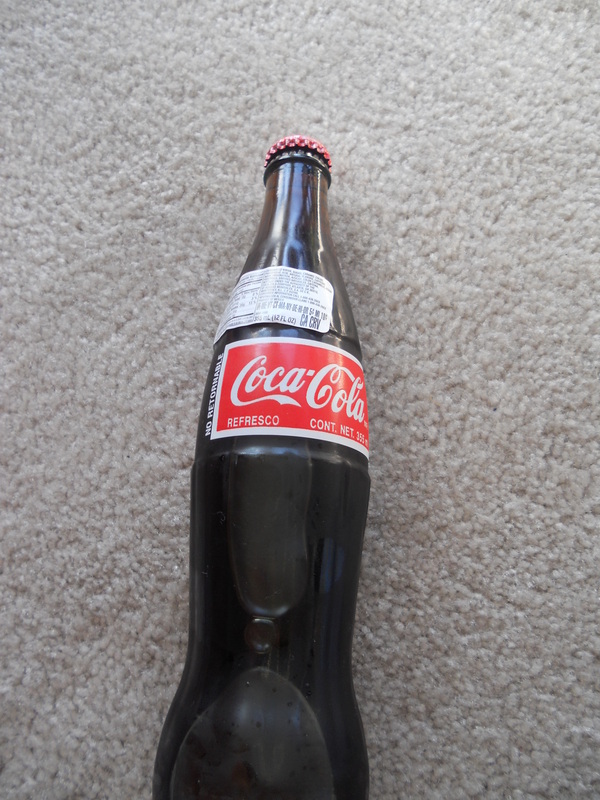 This bottle of coke isn’t any normal coke, and you more than likely are not going to find it on your regular soda aisle. 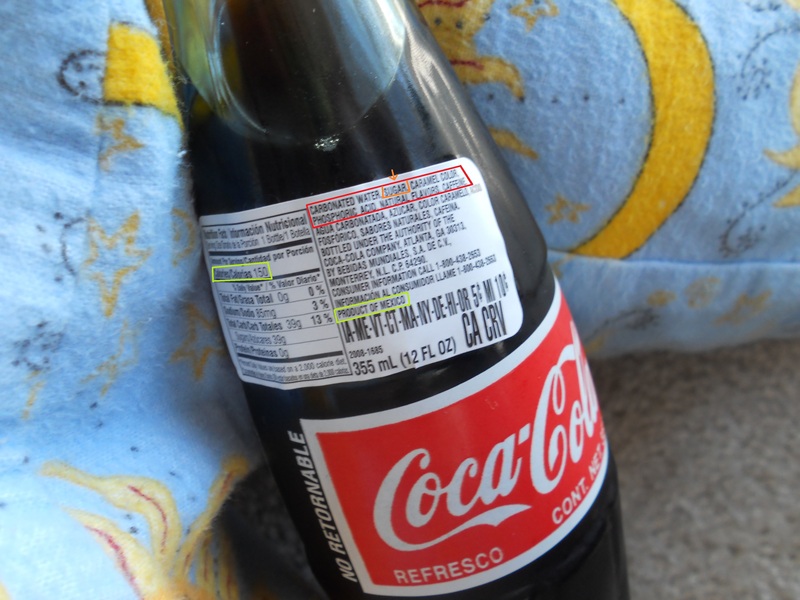 No folks, this coke is Mexican coke! What makes it better than the normal stuff you ask? Let’s turn the bottle around and take a look. The red box believe it or not is the ENTIRE ingredients list. That’s right there are only 6 ingredients in this bottle. And let me tell you, there is a huge difference in flavor alone to justify the extra cost. Caramel color is made by a process involving the heating of corn or cane sugar and other carbohydrates to achieve the desired color. Because they don’t clarify if its indeed Corn Sugar or the better option Cane Sugar you should still take caution and limit the amount you drink it. But if you are just looking for a special treat every now and then, I would have to say that is a great way to go. So as you go about your day, be weary and warned. Keep your eyes out and pay attention you might just be amazed at just how much of the High Fructose Corn Syrup is making its way into your diet. So I know I normally put up a large post about how my week has gone along with this post, but with it being Christmas Eve I thought I would keep it simple. Just remember to keep the true meaning of Christmas in your hearts and minds and enjoy this special time smartly. I can’t say I am disappointed. You can only go so long with the rapid weight dropping before your body needs a few weeks to catch up. Not to mention it is Christmas and I am still adjusting to the new meds. So with that said and done I want to wish you all a Happy Healthy and Safe Christmas! See you next week! And remember, Eat Smart!